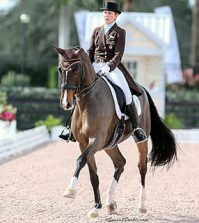 Wellington, FL – January 18, 2013 – Today’s Gold Coast Opener Grand Prix CDI-W showcased horses and riders preparing for next weekend’s World Dressage Masters (WDM) CDI5* Palm Beach, and the WDM competitors certainly displayed their dominance. 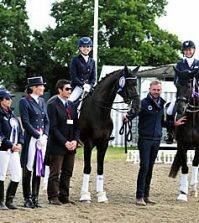 WDM entrants swept all six ribbons in the Grand Prix, with all but one riding the horses they will compete next weekend. And if the results from today are a predictor, it seems that Sweden will be a force to be reckoned with. Patrik Kittel and Watermill Scandic posted 72.723% to steal the win at the last moment from fellow Swedish Olympic teammate Tinne Vilhelmson-Silfven aboard Divertimento, whose 71.170% was the leading score until the final ride. At WDM, Kittel will try to duplicate today’s success on Watermill Scandic, while Vilhelmson-Silfven will switch to her Olympic mount, Don Auriello. The chilly weather at the Jim Brandon Equestrian Center in Wellington, site of both the Gold Coast Opener and WDM, had a few horses on edge in the warm-up, including Watermill Scandic. But most held it together once they entered the ring. Kittel was full of praise for the venue. “The whole place is lovely!” he exclaimed, adding that he would happily show there every weekend if it were “just a bit closer” to his home in Sweden. Canadian David Marcus was happy with the performance of Chrevi’s Capital, his WDM mount, who completed a smooth test to finish fourth. “He was very good,” Marcus said. “This was his first show of the season, and he really listened to me and behaved himself.” Marcus also placed just out of the ribbons with Don Kontes. 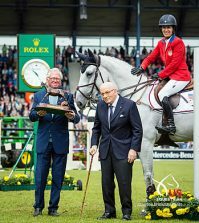 Denmark’s Lars Petersen, riding Mariett, scored 69.277% to take fifth, while Canada’s Jacqueline Brooks and the striking gray D-Niro put up a mark of 66.213% to claim sixth. Many of today’s top finishers will return to the Gold Coast Opener tomorrow to contest the Grand Prix Freestyle CDI-W. The Freestyle will provide a second chance for spectators to catch a glimpse of the accomplished WDM entrants as they tune up for the big event. 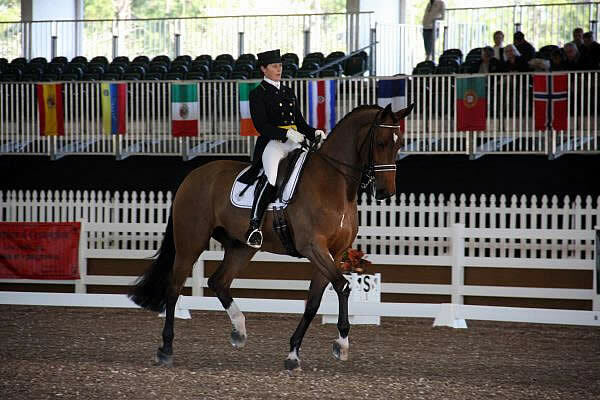 Tickets are still available to see the spectacular line-up in store for the World Dressage Masters Palm Beach January 24-26, 2013. 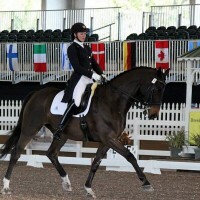 For more Wellington Classic Dressage/World Dressage Masters show information, visit www.WellingtonClassicDressage.com. 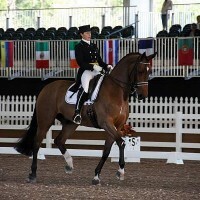 For more Gold Coast Dressage Show information, visit http://www.gcdafl.org/shows-reslts.htm. 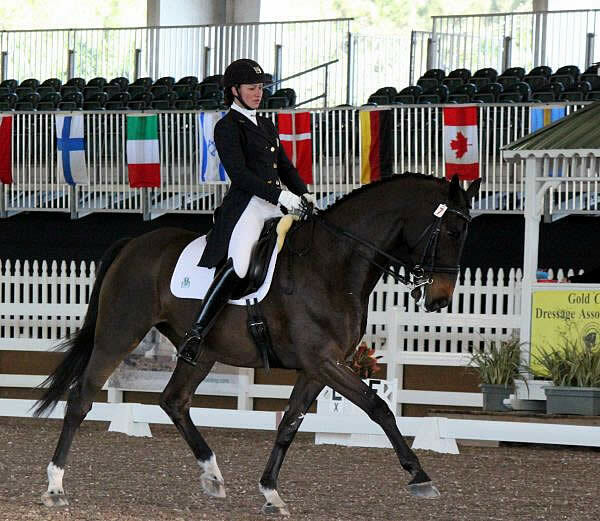 North America’s only World Dressage Masters event, part of the richest dressage series in the world. Up to 20 of the world’s top dressage stars will compete for €100,000 EUR (about $130,000 USD) in prize money at the WDM Palm Beach. *Gates open at 11:00 a.m. each day for WDM Palm Beach ticket holders only. Tickets will not be available for purchase at the gate. 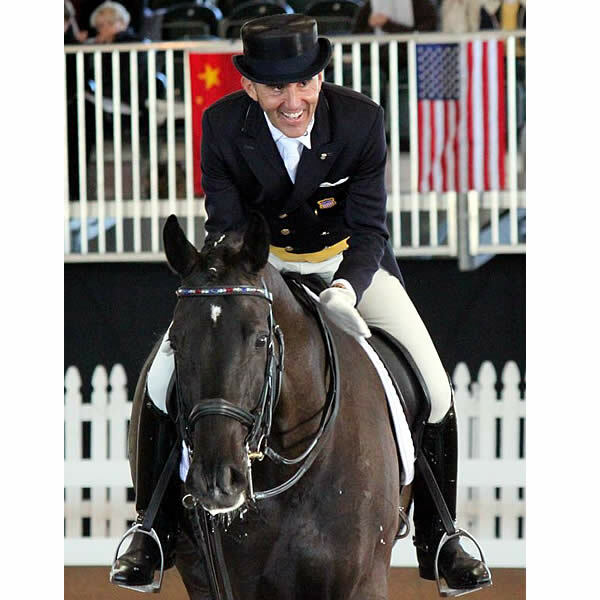 Ticket holders are encouraged to arrive for Saturday evening’s Grand Prix Freestyle at 5:30 p.m.
Past WDM results, as well as complete WDM Rider Rankings, can be found on the WDM website: www.WorldDressageMasters.com. 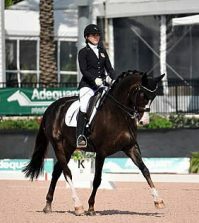 For more information about Wellington Classic Dressage, visit www.WellingtonClassicDressage.com or check out the Facebook page at www.facebook.com/pages/Wellington-Classic-Dressage. 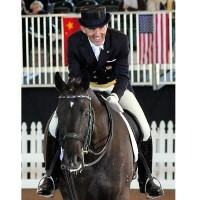 To learn more about World Dressage Masters, visit www.WorldDressageMasters.com.